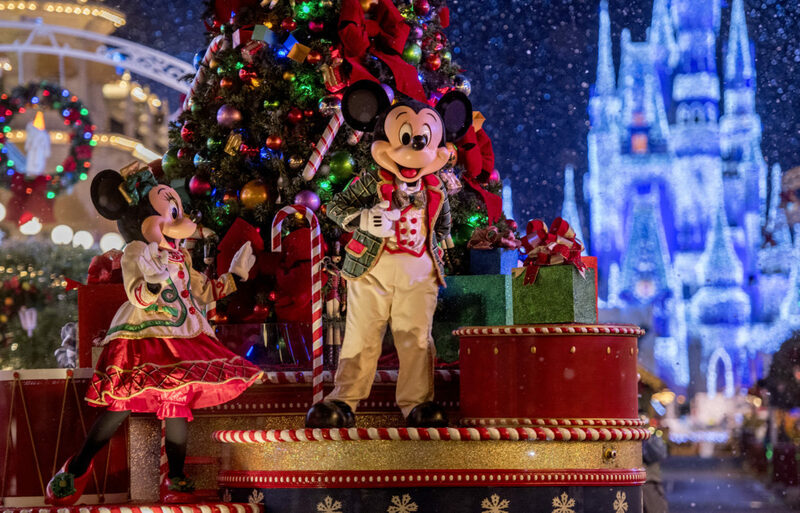 Mickey’s Very Merry Christmas Party will soon be returning to the Magic Kingdom at the Walt Disney World Resort. 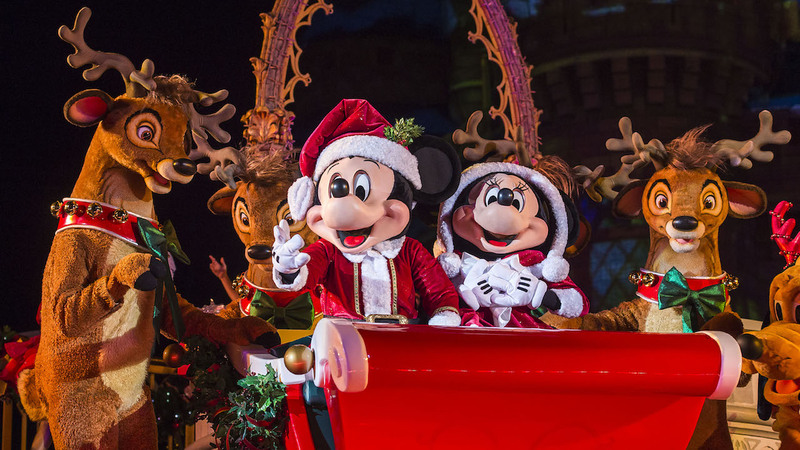 This ticketed event is one of the incredible Christmas season offerings at Walt Disney World. The event includes special entertainment, holiday decorations, special photo opportunities, beautiful holiday lighting, and it even snows on Main Street! 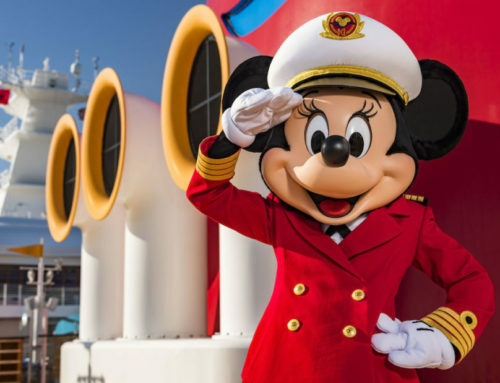 Mickey’s Very Merry Christmas Party is presented on the following nights: November 8, 9, 12, 13, 15, 16, 25, 27 and 29; and December 2, 4, 6, 7, 9, 11, 13, 14, 16, 18, 20 and 21. The event runs from 7:00 PM until Midnight. Ticket holders can enter the Magic Kingdom at 4. 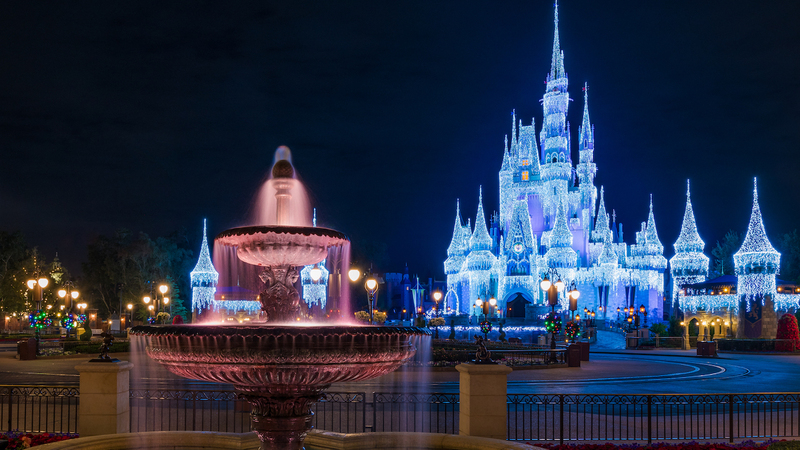 The Frozen Holiday Wish kicks the evening off at dusk. This special show takes place on the castle stage as Anna and Elsa lead the celebration with their friends. The climax of this show is when Elsa uses her magic to turn Cinderella Castle into a beautiful ice palace that is perfect for the season. Another castle stage show, this features Mickey Mouse and friends celebrating the season. Throughout this musical celebration of the season, Mickey, Minnie, Donald, Daisy, Goofy and Pluto, and other friends are dressed in their holiday best. Together they ring in the season! During Christmas at a Disney Theme Park, the Christmas parade is one of the most magical experiences to be had. Mickey’s Once Upon a Christmastime Parade is no exception. 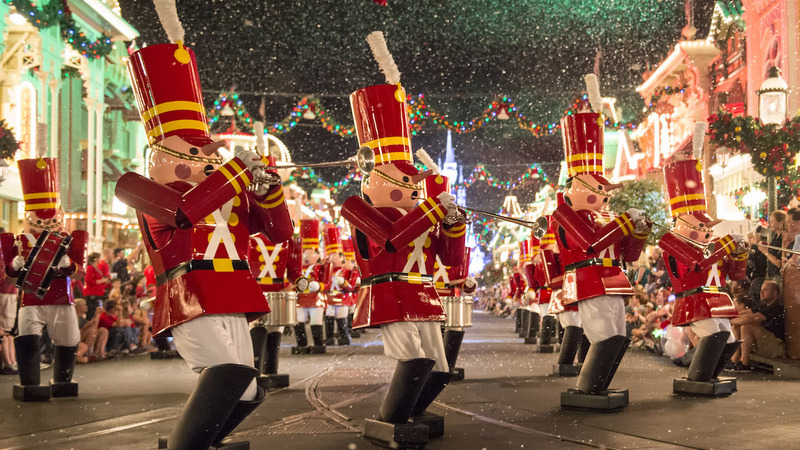 The Magic Kingdom’s Christmas parade features marching toy soldiers, dancing gingerbread men, Disney characters, Santa Claus and more! It is presented only during the parties. The skies above the Magic Kingdom light up with the magic of Christmas during Holiday Wishes Fireworks– Celebrate the Spirit of the Season. 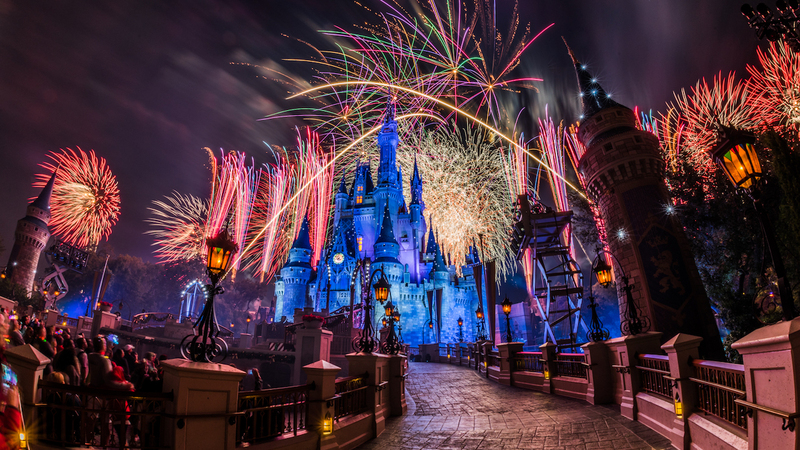 Fireworks are paired with favorite holiday music during this magical presentation. There are some other fun offerings at Mickey’s Very Merry Christmas Party. 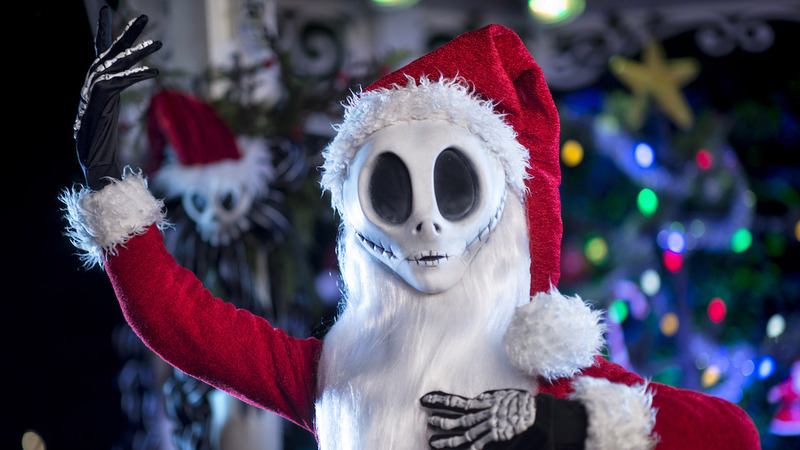 Jack Skellington as Sandy Claws and Scrooge McDuck are some of the exclusive characters available to meet n’ greet with at the party. Complimentary hot cocoa and cookies are offered to guests attending the party as well. 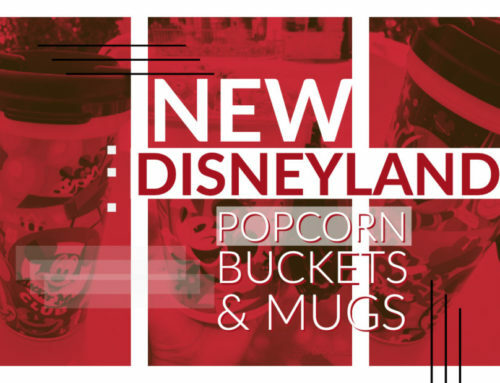 There is also event-exclusive merchandise and other holiday treats to experience while at the party. 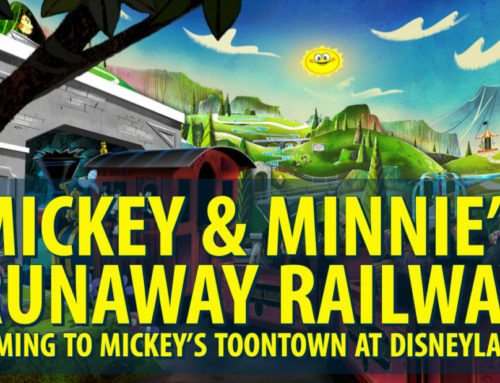 If you would like more information on this party or would like to purchase tickets, visit: Disneyworld.com/Christmasparty. There are other holiday offerings at well at the Walt Disney World Resort. 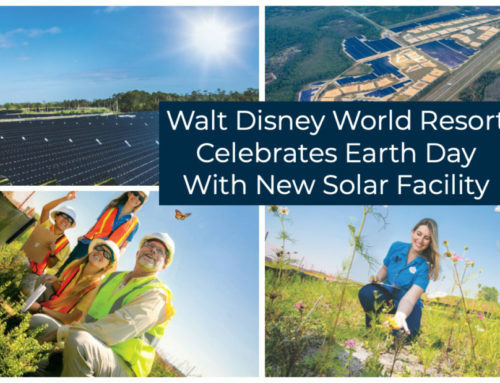 This includes the Candlelight Processional in Epcot and also Jingle Bell, Jingle Bam! at Disney’s Hollywood Studios. What is your favorite holiday tradition at the Walt Disney World Resort? Let us know in the comments below!